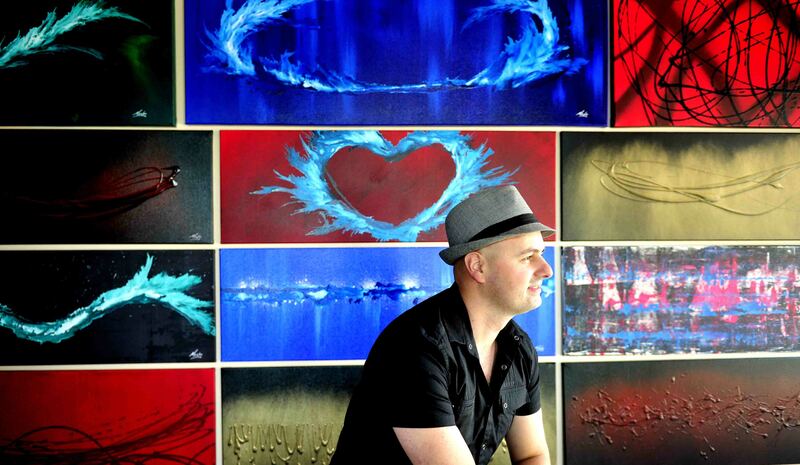 Mendo is a full time Melbourne artist who loves bright and bold colours with lots of texture. After pursing honours in Microbiology, Mendo loved the experimental side of science but needed to express himself creatively. By fusing these worlds together he created truely cutting edge experimental artworks. This passion is what gets Mendo excited everyday to create beyond his imagination. “Painting for me is mediation, to get into ‘the zone‘. It allows me to quieten the mind and get into a flow-state to create art that comes from some deep subconscious instinct, a hidden second nature. I love using bright and bold colours in my own masculine way, I think it gives a great balance of Yin and Yang. The ocean is also a big influence as I spend a lot of time in Blairgowrie (Mornington Peninsula). Mendo can also custom design art for any home or business, just name the colours and any size. Mendo’s studio is based in the lovely Botanica Park Precinct of Bundoora. Meetings at the studio are available 7 days a week by appointment only. This is a great way to see many finished artworks and discuss a project for you. Mendo is a registered as an Australian Artist with the National Register for Arts & Artist in a Australia. A certificate of Authenticity is included with all artworks. 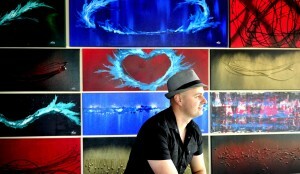 ART YARRAMANUA – 500 Collins St, Melbourne CBD. MICHAEL BOYD GALLERY – Collingwood, Melbourne, AUSTRALIA. PER METRE SQUARE – Collingwood, Melbourne, AUSTRALIA.